As a cardiovascular surgeon, Hamid Mohammad-Zadeh, MD, FACS, noticed many of his bypass patients had significant painful varicosities in their legs. Upon discussing it with them, he found that many had tried to address the problems with their doctors without resolution. “After that I realized a lot of the patient population was suffering from varicose veins, significant chronic venous insufficiency, and the symptoms associated with them, so we decided to do something about it,” says Zadeh. Zadeh enlisted the help of Lexington internist Fadi Bacha, MD, who had begun offering cosmetic procedures such as Botox, fillers, hair reduction, and spa treatments in his practice. “I thought it was a brilliant idea,” says Bacha. “A lot of places do vein. A lot of places do aesthetics. But combining the two is like bread and butter.” As founder of the Urgent Treatment Clinics in Lexington, Bacha provided the business expertise and infrastructure for the venture. Another deciding factor in opening the center was that, at the time they opened four years ago, there were no other facilities in Lexington dedicated solely to venous issues. 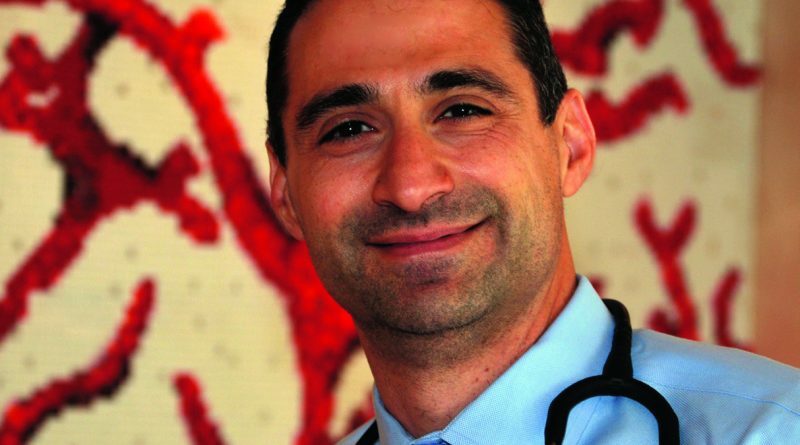 To differentiate themselves in the field, Zadeh and Bacha sought additional training and certification from the American Board of Phlebology While physicians with a variety of backgrounds provide vein treatment, the partners believe their certification illustrates they have taken the extra step in providing quality care. The legs are comprised of two venous return systems: the superficial system and the deep system. Treatment is limited to the superficial system where valves inside the veins become insufficient and patients develop varicosities and symptoms. 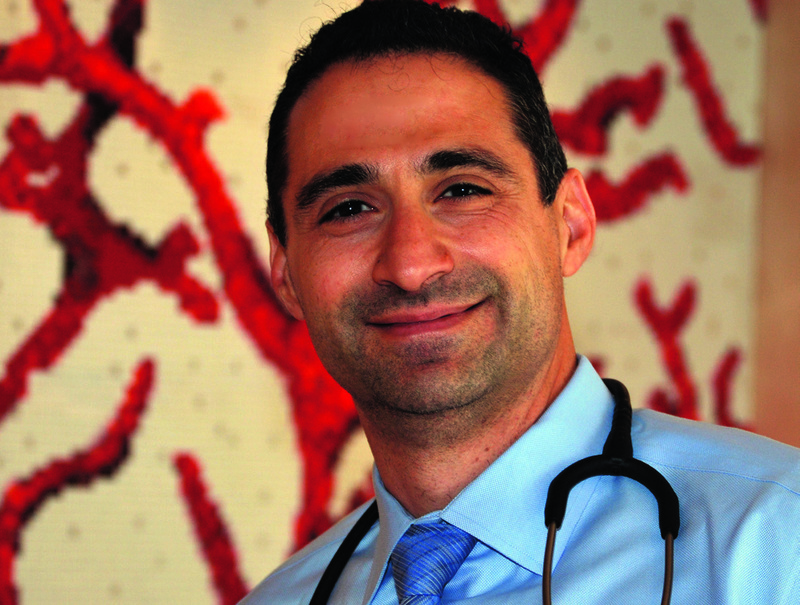 “The main service that we provide to our patients is the procedure of endovenous laser therapy (EVLT), which is basically the treatment of choice these days for symptomatic chronic venous insufficiency,” says Zadeh. Other treatments include ultrasound-guided sclerotherapy and ambulatory phlebectomy. Lexington Vein & Aesthetics Center’s diagnostic process begins with a detailed patient history, including current symptoms, which can include edema, swelling, itching, and dry skin. More extreme symptoms include bleeding and venous ulcers. Physical examination focuses on the location of varicosities, their origin, and the condition of the skin itself, whether there is dryness, hyperpigmentation, change in color, or ulcerations. “Following that we do an ultrasound exam of the venous system, which I think is the best tool that we have,” says Zadeh. “It’s the golden tool that we have and use for confirming of our diagnosis.” Key components of the practice are on-site ultrasound examinations and ultrasound technicians, who are trained specifically in venous insufficiency studies. Unlike traditional vein stripping procedures, which require hospitalization, general anesthesia, and multiple cuts, EVLT is done in a 45-minute outpatient procedure through a needle stick under ultrasound guidance. Placing a laser fiber through an introducer into the vein, physicians precisely position the laser. According to Zadeh, excellent positioning is critical to avoid damaging the deep system and significant complications. Tumescent is used to locally anesthetize the vein and also serves the purposes of compressing the vein for even distribution of the laser and “acts like a cooling agent to prevent thermal injury to the surrounding tissues and skin,” says Zadeh. When the laser fiber is removed, the vein closes, and patients are able to walk out of the office following the procedure. Possible complications include deep vein thrombosis (DVT) and damage of the deep venous system, a complication Lexington Vein & Aesthetics has not seen but one Zadeh cautions could occur with an inexperienced clinician. They monitor for DVT by having the patient return for office visits at weeks one and three post-treatment. More cosmetic and temporary complications can include ecchymosis or bruising in the leg for a prolonged time, burning of the skin, and numbness. Bacha is responsible for the cosmetic aspects of the practice, including removal of spider or varicose veins for cosmetic purposes, and shares the duties of evaluating all vein patients with Zadeh. “As far as the aesthetic part, we do everything that has to do with the non-surgical correction of facial blemishes,” explains Bacha. Services include Botox, dermal fillers, chemical peels, fractional laser skin resurfacing, photo facial rejuvenation with pulsed light treatment, hair removal and reduction, and topical skin care products. Bacha emphasizes a healthier look rather than promising to make patients look younger. Both Bacha and Zadeh split time between the vein center and their original practices and have wait times of up to two months for new patient appointments. They pride themselves on being accessible, including providing their cell phone numbers to any patient who has a vein procedure and scheduling extra time between patients “to make sure we are available for patients when they arrive,” says Zadeh. The important thing to realize is chronic venous insufficiency is a disease, and there are outpatient treatments available. Although they are elective, our services are usually covered by insurance companies.